Back at CES, Google and its partners introduced a new kind of home assistant speaker called smart display. As the name suggests, this was a device that featured the smarts of a Google Home, but was upgraded with a display to hopefully provide you with a more visual experience. The first of those smart displays arrives tomorrow from Lenovo. The Lenovo Smart Display can be purchased in 8-inch and 10-inch sizes and costs either $199.99 or $249.99, respectively. Want to know more about it? We’ve reviewed it right here! 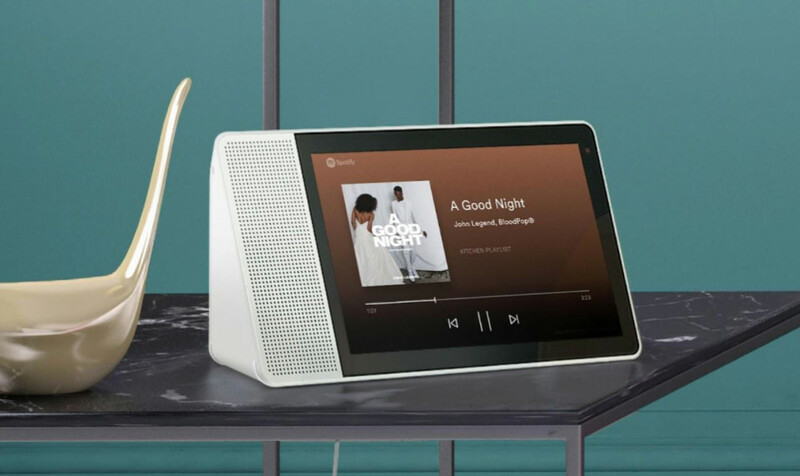 As you’ll find out from that review, smart displays offer everything from live TV feeds from your favorite streaming service (just not Netflix yet) to traffic and weather info, access to music services and podcasts, and viewing of your favorite Google Photos albums. They also answer questions, show recipes, find nearby movie times, and keep you up-to-date on your calendar, the news, and your shopping list. You can place video or voice calls on them too, thanks to Google Duo. 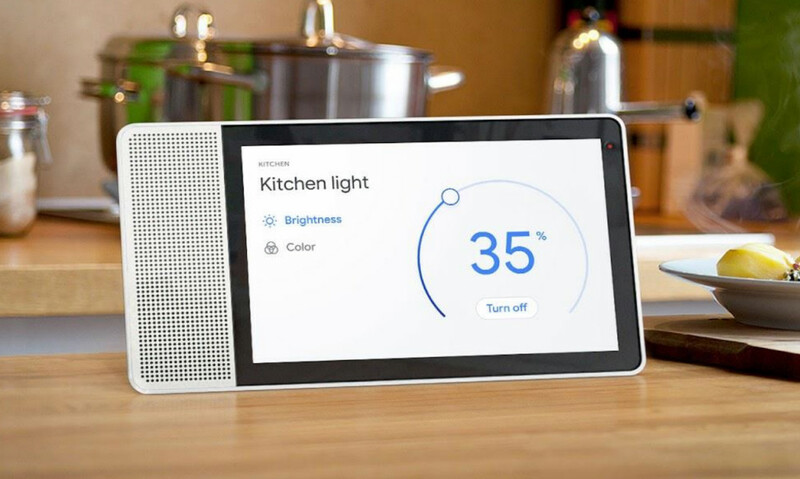 Where these smart displays offer an upgraded experience over your typical smart speaker, really is in the display. Google, through its Android Things platform, has created a visual environment that allows for viewing of information as well as quick interaction. You can manually adjust your lights’ brightness or thermostat temperature, tap on a playlist, pause YouTube TV, scroll through photos, and manage your shopping list. For a first attempt, I think Google has done a pretty good job. Again, Lenovo’s Smart Display is first, but Google still expects LG and JBL to introduce their own in the near future. The Lenovo Smart Display goes up for purchase tomorrow, July 27. You can buy one right here.